Bonus Shot ~ I couldn’t pass this one up, nor could I save it for another day. My gift to you free of charge! Oh my! 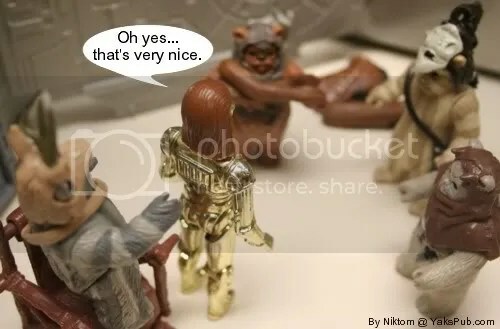 3PO’s really got something for them doesn’t he? 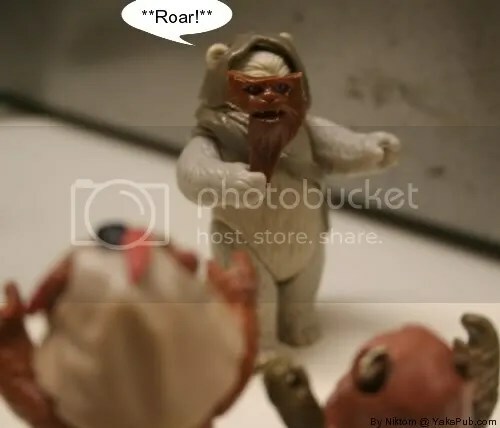 That Ewok oone is funny because of how it matche up with the Ewok. You really destroyed a vintage figure? Yup… it was painful, but I did it. Ah well, its only a Chewbacca. Probably one of the Vintages I’ve seen the most.